What It Is And Why Your Business Needs It! One of the biggest challenge you’re going face as a business website owner is finding ways to get as many visitors to come and visit your site, thus increasing your chances of generating business. It doesn’t matter if you are trying to compete in a local area like Tampa, Search Engine Optimization SEO Tampa or globally we can help. One way you can achieve this objective is to spend $$ on traditional marketing or social media marketing and/or on-line advertising like pay-per click with google adwords. There are a lot of different attack approaches you can take, but the best long term “Bang for you Buck” is building your core SEO. Some people get a quick pop in traffic from a promotion or sale to build brand awareness. Give Us A Call 803-479-7699! To get targeted visitors, therefore, you need to find a way (either by yourself or through the expertise of an SEO consulting company like oh, I don’t know, maybe DBL07 Consulting & Website Design Tampa) to get the popular search engines to list your website as close to the top of their list based on the most common search keywords entered by the searchers that refer to information that your website provides. 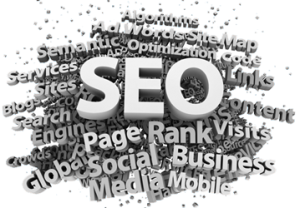 Performing this “trick” successfully is what Search Engine Optimization (SEO) is all about. 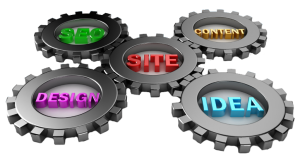 d. Link Building— At DBL07 Consulting Tampa our team will use their databases and resources to build an arsenal of one way inbound links from relevant and content rich sites.